It has emerged that the Council of Elders of the New Patriotic Party has officially written to the National Chairman of the party Paul Afoko to step aside. A statement signed by the chairman of the Council of Elders CK Tedam and copied to the flagbearer of the party and former President John Kufuor said the conduct of Mr. Afoko is bringing the image of the party into disrepute. “A thorough investigations into the constitutional breaches of chairman Afoko. “Appropriate recommendation to promote discipline, peace, order, harmony and progress in the party towards election 2016. “At least suspension of chairman Afoko from his office until after the 2016 elections. “Sir, we believe the party has reached the cross-roads and definitive action needs to be taken immediately to bring all such misconducts and infractions to an end. We will expect speedy treatment of this complaints and in any case, not later than the constitutionally stipulated deadline of 21-days in article 4.5(c),” portions of the 4-page statement said. 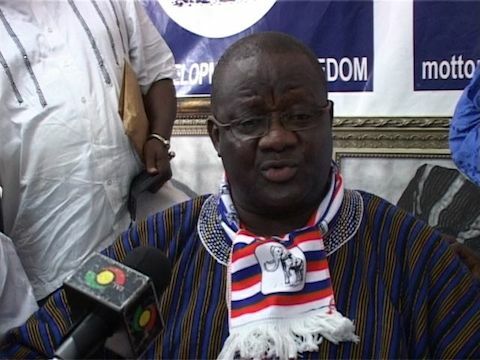 Meanwhile, StarrFMonline.com sources say the flagbearer Nana Akufo-Addo is appealing for a reversal of the decision.